In Parts I and III of this III-part series of posts, I wanted to emphasize the fact that languages (such as ordinary Indonesian and biblical Hebrew) are translatable. But “translation” need not be reduced to the either/ or binary of “formal equivalence” vs. “dynamic equivalence,” a reductive essentializing that allows for no other options. Rather, the translator as another human being, can overhear what’s going on in the Indonesian culture and in the Jewish culture, for example. And the translator can use words that mark her or his translation as understanding or getting the points of the Indonesian flavors or the Jewishnesses of the expressions. 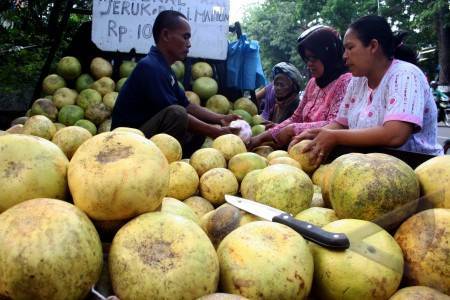 Thus, “jeruk Bali” although it refers to a fruit that most know as pomelo when speaking English gets the locality of Bali and the culture of the Balinese there. Hence, although “כלב” around the temple may be understood in the context as some sort of counterpart to a “זנה”, the former phrase suggests a lowly dirty canine, a mere dog. And English expresses “dog” aptly and ably. Now in this Part 2 of the series, let’s consider something else. Let’s consider how English language translators often impose their own limitations on the translated language, say classical or LXX or New Testament or post NT Greek. Most texts of the ancient world (of old old old Greece) use context well enough to point to meanings and to references of specific words. This allows those lexical items to carry vast ranges of meaning or, to say it another way, to have multiple and even all-related meanings. Lots of words also have gendered and sexed and sexualized meanings as part of their, if you will, single meaning. In other words, the Greeks had play in their words. (By “play” I also have play in my English: play can mean playfulness, and interpretive wiggle room, and performance as in what a playwright and a director and an actor and set makers and the chorus and the orchestra and the audience all perform together.) English translators of Greek words have tended to reduce the Greek words that appear much in sexualized context to only sexualized meanings. But it’s not just Bible translators from Greek to English that have trouble. For example, when translating the play Hecuba by Euripides, translators from Edward P. Coleridge (1891) to George Theodoridis (2007), have reduced παρθένος to “maiden,” when the word refers twice to Polyxena (who is Multiplyforeign). Well, at least they haven’t reduced παρθένος to some religious sexual matter, to “virgin” of virginity. And yet, the story, the context, the Greek lore, the vast culture of Homer and Homeric epics is fraught with sexuality. To see Polyxena as she’s being stripped and sexually exposed and publicly humiliated and abused by the unsheathed sword of a man, to see her in contrast to her sister, to Hecuba’s other daughter, is to see how stressed is her virginity. The word παρθένος is vast. In the play, it has much play. you might begin to wonder about Hippolytos’ simplicity…. (aidoia) as a euphemism for the sexual organs (Iliad, 2.262). but it is a part that Hippolytos edits out. He edits Artemis too. Her sexlessness reminds him of his own chastity; he idolizes it. 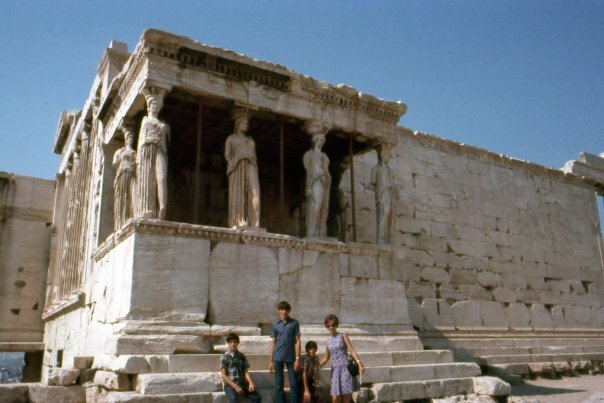 So picture, with me, going to the Parthenon in Athens. And then strolling a few steps over to the Erechtheion. Let’s have a seat and ponder. Are these representations, statues, of perpetual viginity? Or might these Greek girls, okay Hellene maidens if we must, might these Greek girls be vastly more than sexual objects in relation to not men? And is our English so limited, for translation, that they are merely virgins of Greece? Part I of this series suggests that English is powerful enough to go beyond our familiar word “pomelo” to describe how Indonesians and many Malays see the Balinese fruit. Part 2 challenges English translators who reduce a Greek noun for girls to their would-be necessary virginity whether for religious or for male-sexual purposes. If the vastness of other Greek words can be conveyed by English words such as “shame,” then the vastness of the Greek word parthenos can be so conveyed as well. Thank you for reading the post and for giving such additional insights, not only from theory but also from your wonderful practice of translation. You know, I’ve been a fan of yours for some time now. We’ve noticed that φίλος, the more vocative φίλε, and φιλίας in Euripides’s Cyclops is the Chorus dancing, “O Bacchus! O Dionysus! O dearest Lord! … your dear friendship” and in his Alcestis, for example, these are mainly “friend.” Vastness, in particular contexts constrained. Thanks for letting us in some on your reasons, your thought process, for calling Polyxena a maiden (i.e., “very particular, … where, … the meaning is simply, young girl, as distinct from the married woman”). Inescapably, the “language-animal,” as the ancient Greeks defined man, inhabits the bounded immensities of the word, of grammatical instruments. The Logos equates word with reason in its very foundations. Thought may indeed be in exile. But if so, we do not know or, more precisely, we cannot say from what. Sorry I didn’t get here earlier. Life’s (and Fate’s) tides have navigated me to all sorts of other, very busy harbours. (Please forgive me my Australian/English spelling). I have not yet read Mr Steiner’s “Poetry of Thought” and so I won’t be able to comment about his views on this (thought as poetry) topic. However, do let me please to make a couple of little observation pertaining to words and the meanings that people apply to them. “Poetry” means “creation” or “creativity” and that’s why various people, poets included, observe that God is the poet of the universe. He is its creator. Εν αρχή ην ο Λόγος, και ο Λόγος ην προς τον Θεόν, και Θεός ην ο Λόγος. 2 Ούτος ην εν αρχή προς τον Θεόν. 3 πάντα δι’ αυτού εγένετο, και χωρίς αυτού εγένετο ουδέ εν ό γέγονεν. One should understand that John mean that the reason why God created everything stays with him. (He knows why he did this, we don’t.) The aphorism, “God knows why mother forbids me to eat chocolate…” I’d suggest has its origin here. God’s reason, logic, etc, for creating the Universe is his and we cannot, need not question that reasoning. Continuing with the passage, we should read, “God is Reason” ie, Reason itself, is a constituent of God’s make up. Reason and God are one. All things are made due to that logic, that reasoning that God had in his mind and as part of his make up. So, the now ubiquitous translation of “Λόγος” as “Word,” is, in my opinion, quite wrong. Moving on… in respect of the notion of “language-animal”. The Greek here (and Latin, of course) is quite useful. A being, an entity, in Greek is an ων and a being that lives is a ζών, a ζώον. Let me get back to λόγος for a second here, please: The Greek word for “horse” is άλογον, with the first letter being the privative alpha, ie, the prefix “αν” or “un” in Latin, which makes the horse either, without speech or without reason (of its own). And so, to go back to Mr Steiner, man, as distinct from other species is a reason-possessing, living being. I cannot comment on his understanding of “thought” because I don’t have his book and cannot put it in the context of his reasoning but one may be reminded that the suffix –ology denotes a “study of” or a concantanation of cogent reasons. Finally, therefore, I am not that sure if Mr Steiner is, in fact arguing totally against our agreement or, he is providing us with a more nuanced explanation of what he sees; more nuanced, though perhaps, still not fully formed. It is, after all, a difficult idea to articulate. I have always had difficulty with the argument of “Adamic privilege” It seems far too distant from anything scientific and more in concert with theological explanations that have little strength outside the OT. Still, on that subject, I may well be corrected. Many thanks for the opportunity and your kind words. I shall pop in here whenever Life’s tides give me free purchase of the radar! Here, I must make the confession that, though I had a very strong and profound upbringing in Theology, (Grandfather a priest of the Greek Orthodox church and my uncle, upon whose lap I was raised, a student of Theology and then its professor) I am a happy atheist. Please know, George Theodoridis, that my slowness in reply doesn’t just reflect the fact that I’ve been too busy in my real life to respond here right away. It’s also that I’ve thought, and am thinking a lot, about what you’ve written. That you’ve so qualified the kind of atheist you are is just fascinating to me. What a disparaging Greek term “atheos” can be. You’re responding, of course, to my little out of full context quotation of George Steiner. And you say that. Well. It may be enough just to move on to what Edward Schiappa has said. But then there’s another book that refers to many many other books, so where does it end? Schiappa may have the finest word on “logos” yet: Protagoras and Logos: A Study in Greek Philosophy and Rhetoric. He severely critiques our modern tendency to reduce to a binary something like Homer’s ‘mythos’ vs. Aristotle’s rational ‘logos.’ But Schiappa shows how, for Aristotle, “logos” was way too sophistic and needed the syllogistic, the formalism of logike, of logic. Logos (in Greek) can mean “word, sentence, story, explanation, reasoning, grammar, rationality.” It can also denote “number, calculation, price.” From number derives its reference to “measure,” particularly a “measure of verse or music.” From measure comes its application to “law” and “proportion,” to “arguments” before the law court and hence its sense of “plea.” All these meanings stream and bite and crackle through [Christensen’s Danish poem]. Their organization is complex and, as in a great comedy, the effect is a matter of perfectly timed beats. Is there any translator who has understood his “strangers [or foreigners even] from the covenants of promise” as also his “atheists”? But then our English lacks the personal-ity for people who are without God to cause the “athoi” to be at least parallel to or with the “xenoi.” And so Paul carefully qualifies them all, of course, not as “happy” which they might have been too, but with the conjoining adjectival phrase: ἐλπίδα μὴ ἔχοντες.